Photo by Davide Monteleone / VII. Courtesy of Enel Contemporanea. 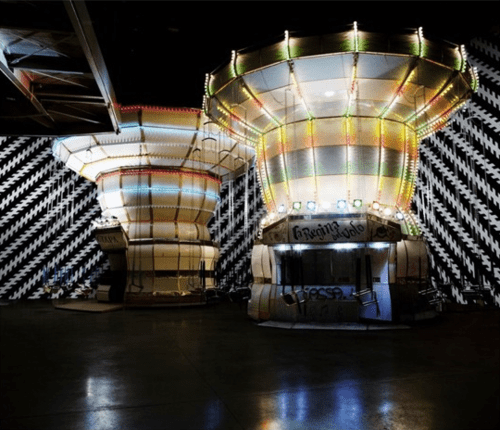 As the winner of this year’s Enel Contemporanea Award, Brussels-born artist Carsten Höller has earned the honor of displaying his interactive installation Double Carousel with Zöllner Stripes at MACRO (the Museum of Contemporary Art of Rome). The work will be on view from December 2, 2011 through February 26, 2012. The bright, colorful merry-go-rounds that make up the installation slowly turn in opposite directions, inviting the public to hop on and off as they please. But don’t let the slow movement of the rides fool you – these works are surrounded by walls of criss-crossing lines, or Zöllner Stripes, which create a destabilizing effect on riders by temporarily impairing their perception of space. 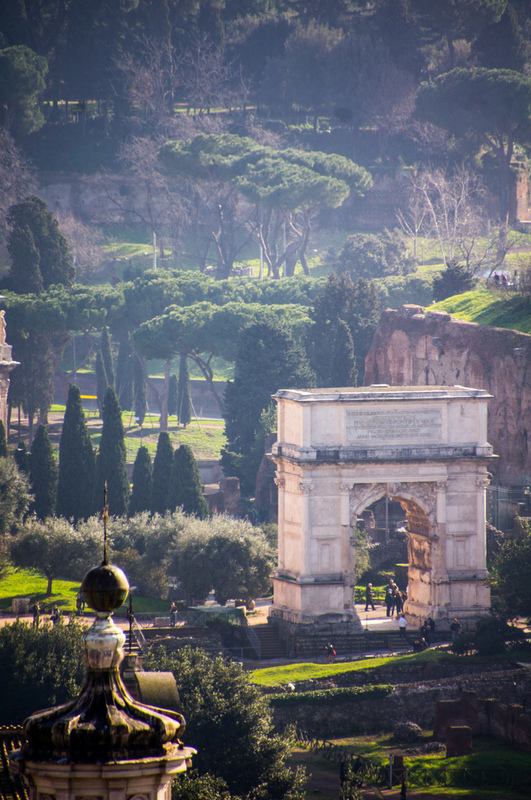 Can’t make it to Rome in the next few months? Don’t fret. Carsten Höller: Experience, the artist’s current exhibit at the New Museum in New York, is also very impressive, and closes on January 15. Rome is one of my favorite cities to visit. I especially love going there in the fall when the air is warm during the day and refreshingly crisp at night. 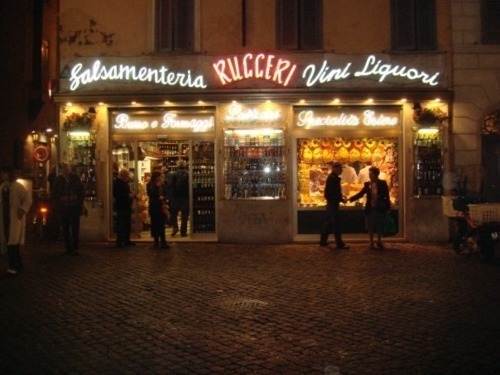 I took this picture of Salsamenteria Ruggeri, a lively food and wine shop in the bustling Campo de’ Fiori, in November 2008. The dated neon signs, crowded entranceway, age-old cobblestones, and crumbling stucco building illustrate the converging of the history and vibrancy of a city that will always be dear to me. Chef Fulvio Pierangelini Served Me Lunch Today! 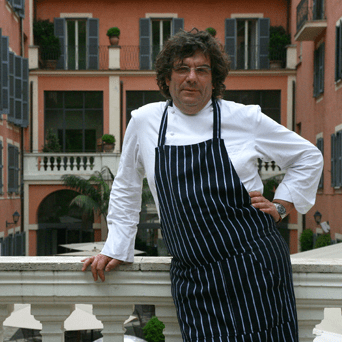 With two Michelin Stars tucked into the pocket of his apron, who would have guessed that Chef Fulvio Pierangelini of Rocco Forte Hotels would have time to travel to New York for a guest appearance at the Condé Nast cafeteria?? He cooked a decadent saffron risotto topped with pristine ribbons of carrots, and paccheri over creamy burrata with a blissful tomato basil sauce. He even served the food himself! Thank goodness I got down to the cafeteria when I did because I snagged the very last serving of food!! Thank you, Chef Fulvio for giving me a piece of Italy to savor at my desk. Lunch made me miss Rome more than ever. I guess that just means I’ll have to plan a weekend trip to the Hotel de Russie sometime soon!